Most AT boots weigh in at roughly 7 pounds and offer up little more than 30-40 degrees of cuff rotation. The Salomon S-lab X-Alp Boots however, use an innovative new design to provide an amazing range of motion in walk mode. They weigh just 5 pounds while still providing impressive ski performance! You’ll likely see a similarity between the S-lab X-Alp boot and the Arc’teryx Procline boot, as both companies are owned by Amersport. 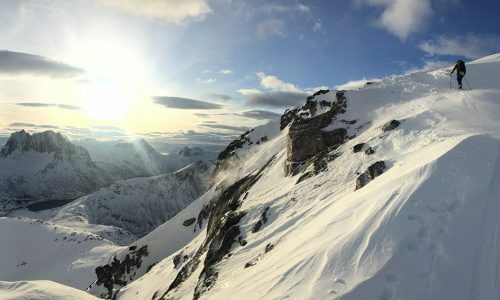 However, the Arc’teryx Procline boot is focussed on ski mountaineering and climbing, while the S-lab X-Alp boot is more of a true AT. The X-Alp’s shell has been reinforced around the cuff pivot to make it stronger, and the soles use a lower density material to save precious grams. 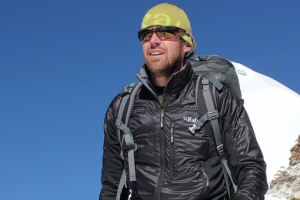 The Procline’s mid buckle uses a cable (which the X-alp does not) and the Gaiter on the S-Lab X-Alp does not have a zipper (which the Procline does). 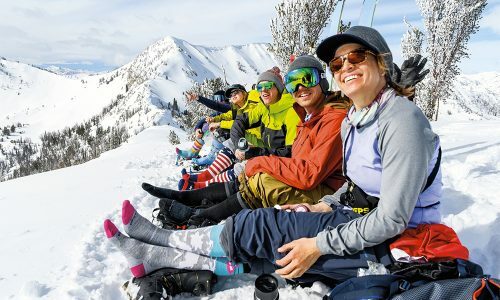 The Salomon S-lab X-Alp Boots are more than comfortable, especially considering the liners are not as thick and plush as most AT boots that typically use an Intuition liner. Liner comfort is only one aspect of fit however, and a good fit mostly comes down to the buckle system which holds your foot in place. With only two buckles and a power strap the S-lab X-Alp Boots keep your foot seated surprisingly well. The lower buckle does most of the work as it’s ideally positioned over your forefoot, pulling your foot back in the boots’ heel pocket. The upper buckle and carbon spine further help fit the boot to your foot, and while you won’t get the same overall fit as a four-buckle boot, I’m not complaining. Weighing just 5 pounds (for size 27.5), the Salomon S-lab X-Alps are one of the lightest AT boots on the market. To get any lighter you’d have to look at Rando Race specific boots that use carbon shells and are exorbitantly expensive. 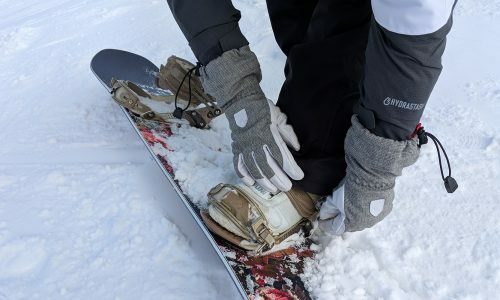 While the S-lab X-Alps have a carbon spine, they also save weight by using only two buckles and minimizing the size of the shell, as well as the heel and toe lugs. This lightweight design is ideal for long days in the backcountry, multiday traverses, and perhaps even the occasional Randonee race. Given the S-lab X-Alp boot’s incredible lightweight, it would be a lot to expect that it also be able to deliver a high degree of performance. 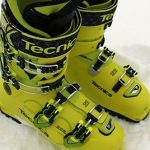 While I was surprised at how well the S-lab X-Alp boots skied, the performance isn’t comparable to a more alpine focussed AT boot such as the Tecnica Zero G Guide Pros or even the Scarpa Maestrale RS boots. Comparing X-Alps to these boots however, is unfair; Both these AT boots are 20- to 30 percent heavier, so they are naturally able to charge harder and tame most terrain you take them in. That said, the S-lab X-Alp boots were more than capable of laying down a line on skis in the 110 millimeter width range, as well as on steeper slopes, and in more technical terrain or variable snow. Salomon does not publish, nor divulge the exact degree of cuff rotation that the S-lab X-Alp Boots are capable of. I am confident in saying that it likely exceeds 60 degrees, which is more than the human ankle is capable of. Given this huge range of motion, walking in the S-lab X-Alp Boots is akin to wearing a pair of sneakers. You will barely know that you have them on, never mind that they are actually AT ski boots. The walk/ski mechanism on the back of the boot is easy to use and very similar to that found on other AT boots. It does however incorporate a 3-D rotating carbon cuff with 23 degrees internal and 12 degrees of external lateral motion. This allows for ankle mobility and better ergonomics when skinning in steep, off-camber or side-hill terrain. The Salomon S-lab X-Alp Boots are a one trick pony. Because of their light weight and huge cuff rotation they are ideal for long ski tours, ski mountaineering and ski traverses. 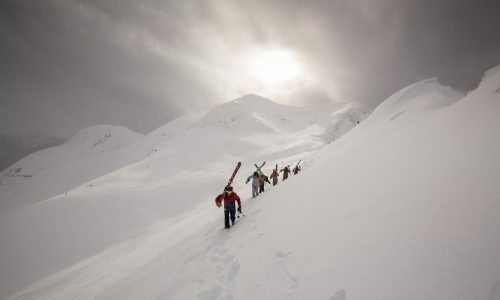 They are not designed for skiing at the resort or hard charging cliff drops in the backcountry. 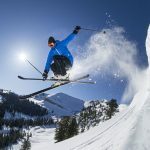 The lack of buckles and lightweight materials provide adequate support and dependability for long days of skiing pow, but are not designed to take a beating from more aggressive skiers. 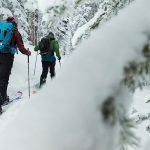 These boots are more akin to Skimo racing boots than your traditional alpine touring ski boots, and this will be very apparent the first time you put them on.